I looked forward to reading this book about a thirteen- year-old boy, thinking that I’d be able to relate to him right away. I couldn’t have been more wrong because his life was so different from mine. However, the author, Gary Schmidt, brings you right into the story, sharing the character’s inner thoughts so you feel you are living the scenes with him. 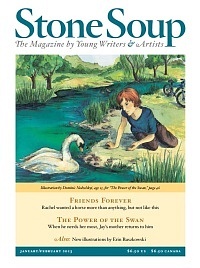 He wrote about the main character, Doug Swieteck, looking at an Audubon bird painting, saying, “But Audubon knew something about composition: he kept the top of the bird’s back as straight as the horizon, right smack in the middle of the scene, with a beak held up just as flat and just as straight, and an eye that said, ‘I know where I belong.’ You couldn’t help but be a little jealous of this bird.” I knew then that my journey through the book would be watching Doug find out where he belonged. 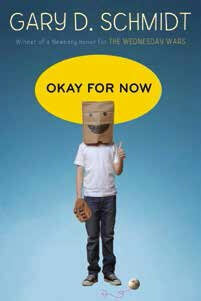 Doug is an eighth-grader whose abusive father loses his job in the big city. He moves his whole family to a small town to work at a mill. Doug isn’t excited about the move, and when his bullying brother is blamed for a series of thefts in town, people start looking down on him. The only thing Doug likes about this small town is the book of Audubon’s bird prints in the library. Unfortunately, the town has hit a financial rough patch and is selling off the prints, one by one. Doug is distraught and, with the assistance of the kind librarian, Mr. Powell, finds himself learning the drawing style of Audubon and bringing the original prints back together. This leads Doug and his new friend, Lil, on an interesting series of adventures with different characters around town. The plot is further complicated because Doug’s oldest brother comes home from Vietnam in a wheelchair and has to fit into this new town and family as well. There are many plots woven throughout the book, but the main themes center on family relationships, bullies, illiteracy, and, most of all, the hope to rise above these things. Doug is an outsider in a new town where he must adapt to relationships, old and new. His only positive relationships come from unusual places—his powerless mother, who manages to hang onto hope in spite of it all, a spitfire girl named Lil Spencer (his love interest), whose zest for life inspires him to see the good in the world, and a teacher and librarian who try to pull the best out of him. This was an emotional roller-coaster ride for me, swinging from humor to heartbreak, from hope to despair, sometimes in the same paragraph. It takes place in the late 1960s, during Vietnam and the preparation for the Apollo flight, which gives an interesting backdrop for the story since I wasn’t alive then and I was able to learn about life during this era. The Audubon prints, pictured at the start of each chapter, seem to mirror what is happening in Doug’s life. As he comes up with ways to reconstruct the Audubon book, he is also making sense of his own life and future. I grew right along with Doug throughout the story. At the end, when Lil said they could move together somewhere else and he said he wanted to stay in Marysville, it shocked me. I guess everybody had grown on him. Finishing the book, I wish they would have used a different cover. 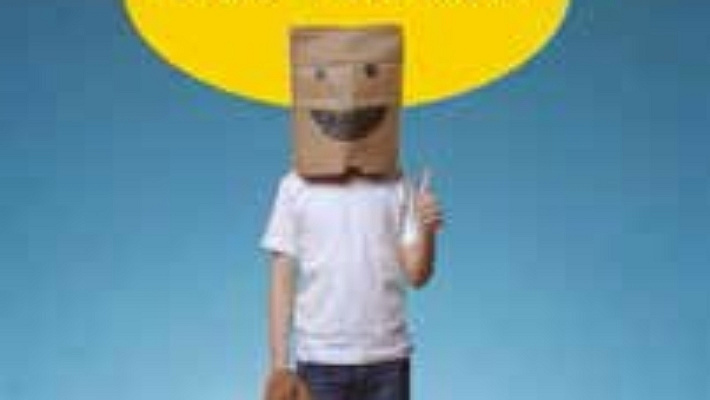 The paper bag over a boy’s head doesn’t reflect the complexity and impact of the book. This is a book that will affect you to the core and I highly recommend reading it.